Did You ‘Kiwi’ To Perfection? The Brand Story: Did you know that the Kiwi brand was first launched and sold in Australia in 1906? Or that in Malaysia, the brand was so popular that ‘Kiwi’ began to be used as a verb to denote shoe polishing? Interesting, right? 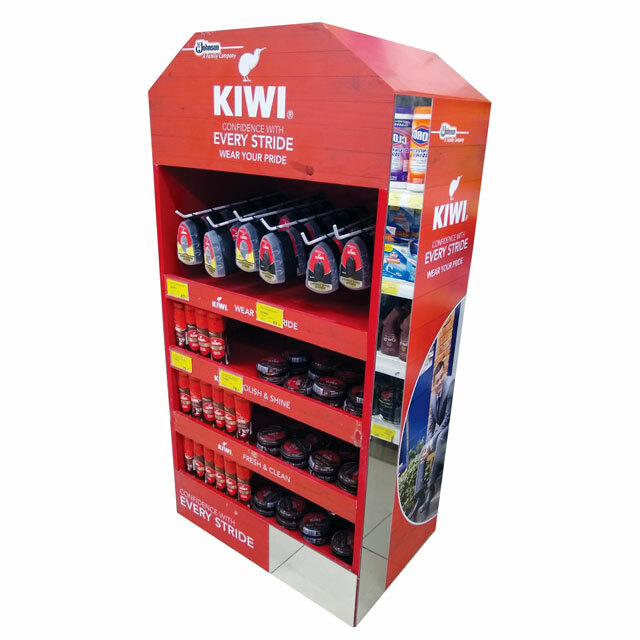 The In Store Communication: This time tested brand seems to be going all out at retail to promote its products with this neat wood floor display. In keeping with their current marketing trend, the brand communication is all about providing confidence with every stride. 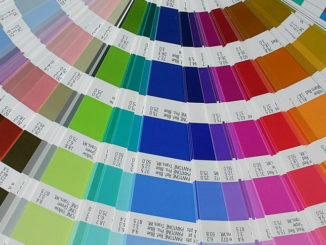 The Brand Story: Gone are the days when a brand simply advertised its product and expected the consumer to lap it up. 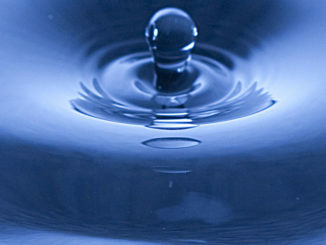 Today’s consumer is aware, health conscious and has multiple platforms to access information. 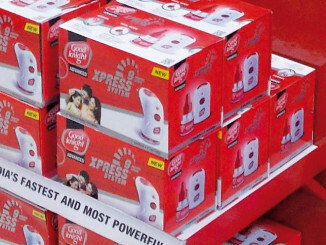 A market leader, especially in the FMCG category, has to position a brand narrative that establishes credibility, trust and resonates well with consumer needs. 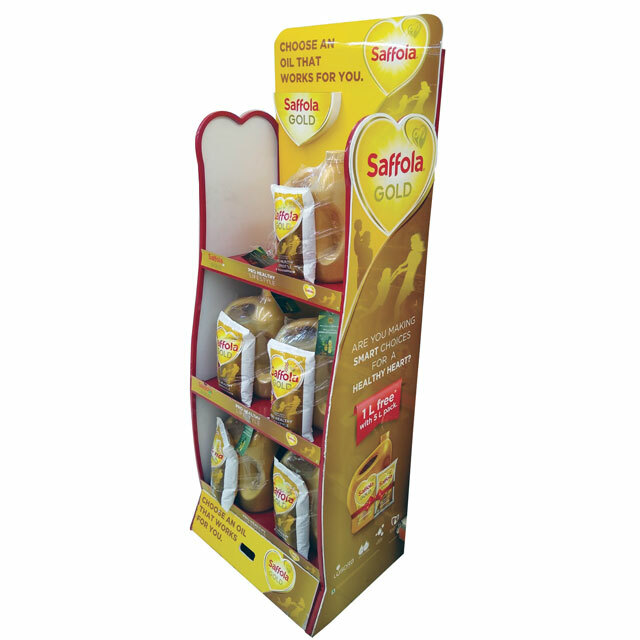 Edible oils manufacturer Saffola recently developed an initiative called Saffolalife which partnered with AC Nielsen and SRL Diagnostic Lab to study the impact of what the brand calls ‘belly fat on heart health’. 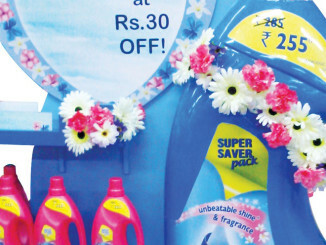 The idea was to reiterate the brand’s focus on its health initiatives and extend that message into the retail space. The In-Store Communication: It couldn’t get more direct than this – a heart shaped unit to convey the brand’s message of being beneficial to the heart! 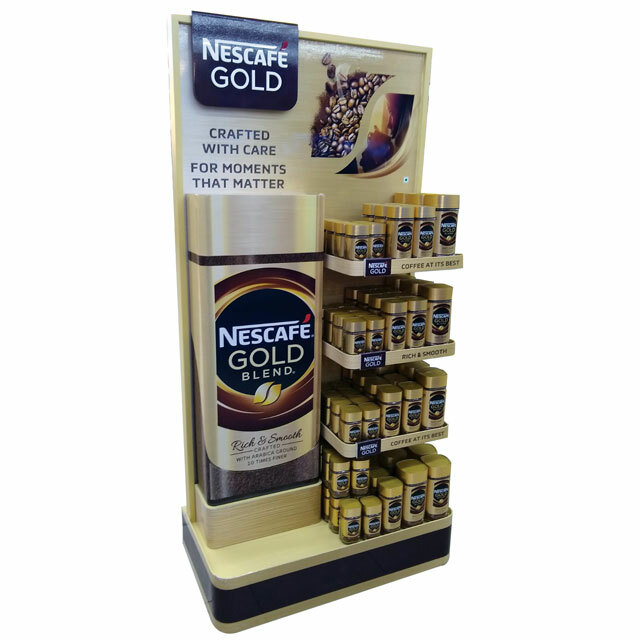 The Brand Story: Nestle recently launched a new recipe for its brand Nescafe Gold. The campaign included an emotive TV commercial that drove home the need to celebrate special moments and bonds. 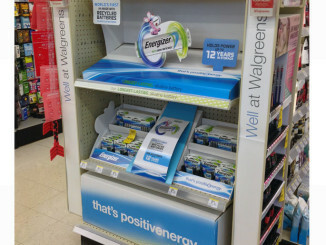 The In Store Communication: The brand extended the idea of celebrating with this premium-looking floor display. The unit supports the new packaging and evokes richness, for those moments that matter. The Brand Story: The market size of India’s beauty, cosmetic and grooming market will reach $ 20 billion by 2025 from the current $ 6.5 billion, says a report. The growth projection is attributed to factors such as a rise in disposable incomes in the middle class and overall consumer confidence. 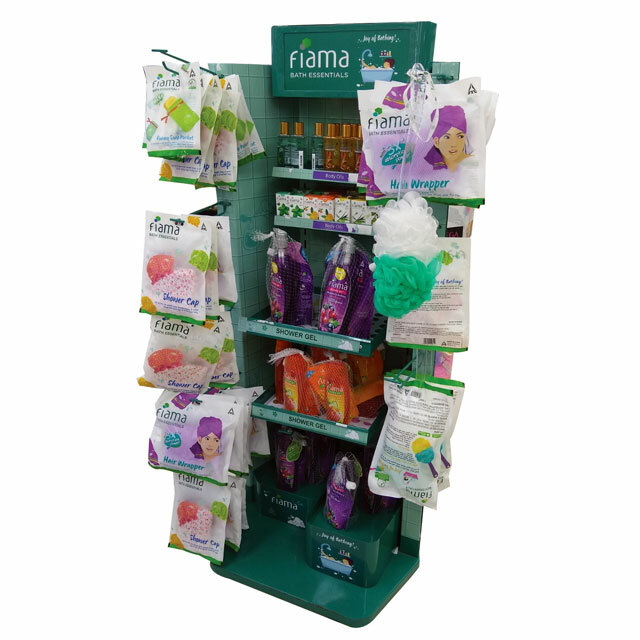 The In-Store Communication: To take advantage of the improving economy, Fiama Bath Essentials launched this ‘no frills’ bath-themed display to promote several different products. Are You A Tough Nut To Crack? 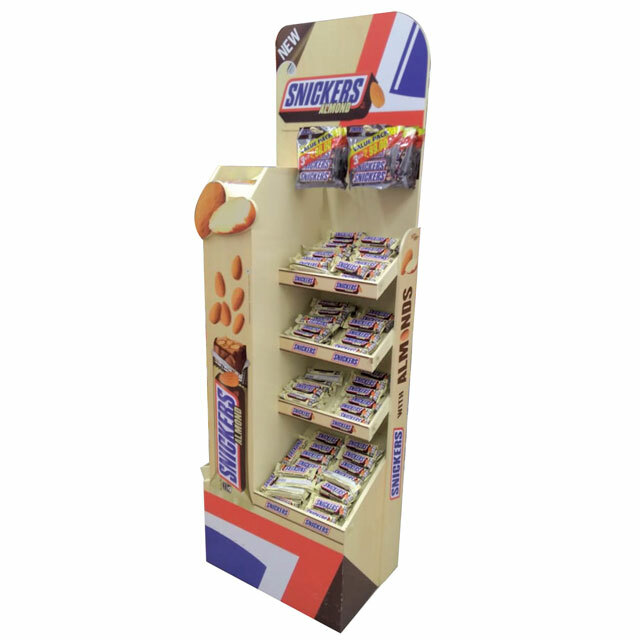 The Brand Story: Mars Wrigley Confectionery recently announced the launch of a new variant for its Snickers brand, the Snickers Almond. 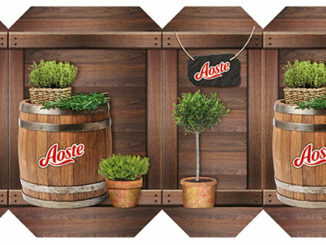 The promotional taglines were an extension from the global campaign and highlight the value of the new almond-enriched variant. The In Store Communication: The hero of the in-store messaging was the almond. 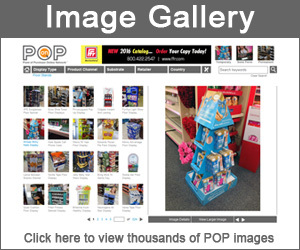 This display does a good job of conveying that to shoppers with all its ‘nutty’ images.